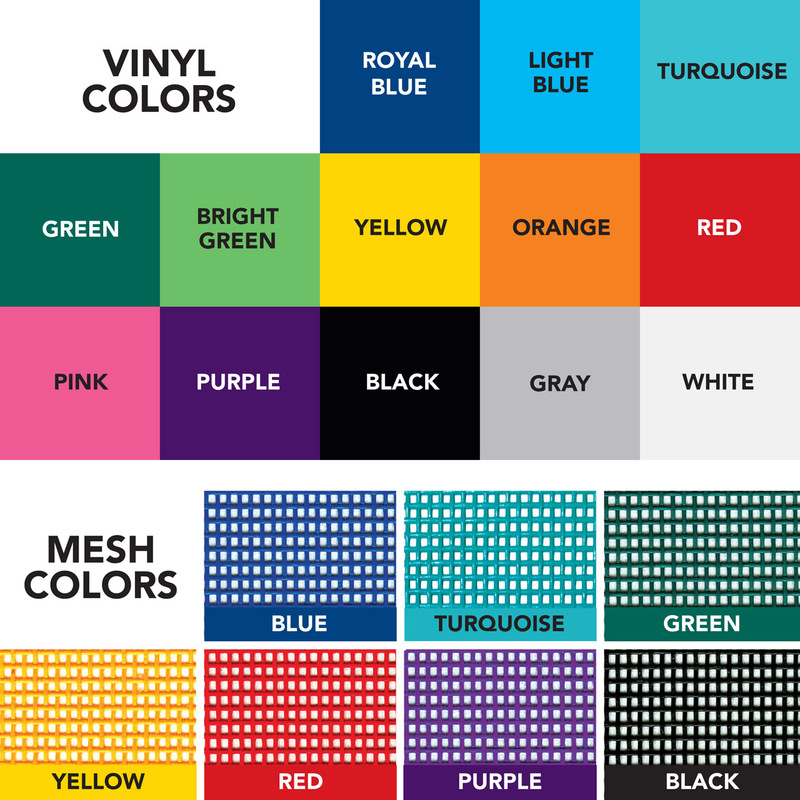 Color Swatches - Norbert's Athletic Products, Inc.
Norbert's vinyl-covered products may be available in your choice of these popular colors. Our durable 18 oz 3P solid coated vinyl fabric is independently tested to comply with CPSC lead and phthalate content regulations. Some covers may also have mesh fabric components which are available in various colors. Stock color is royal blue. All other colors or combinations are offered at no additional charge. When ordering, please select your color choice from those available on dropdown menu. Please note that vinyl color may vary slightly from batch to batch and supplier to supplier. We do our best to purchase similar shades of vinyl from each supplier, but we cannot guarantee an exact match to items purchased previously. Quality and health/safety regulation compliance are our first priorities when selecting vinyl for our products!